I recently bought a new computer, and have been enjoying the added speed and memory capacity. However, going from one computer to another also brings with it a lot of mundane tasks such as moving files and installing software. Well, as I've been in the process of getting my new computer configured, I've also been trying to manage my business. 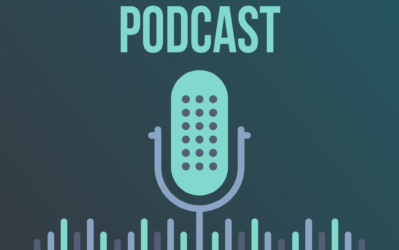 And yesterday, I was in a bit of a crunch and realized that I had a podcast interview scheduled in just a few minutes and I still hadn't installed my skype recording software! So, I scrambled as quickly as possible to download the software and in the process didn't read the fine print. 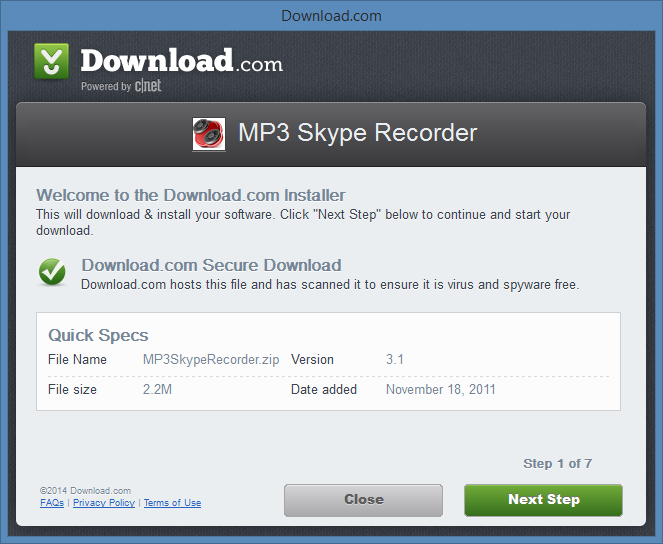 I ended up downloading some unwanted programs along with the skype recorder! The primary nuisance was a browser hijacker called Trovi. Today, I want to share how I accidentally downloaded Trovi, how I discovered some potentially shady affiliates, and how to actually uninstall and remove Trovi (its pretty easy). Again, I was in such a hurry, just a few minutes until my podcast recording needed to start! So, I didn't read the fine print on “Step 2”. 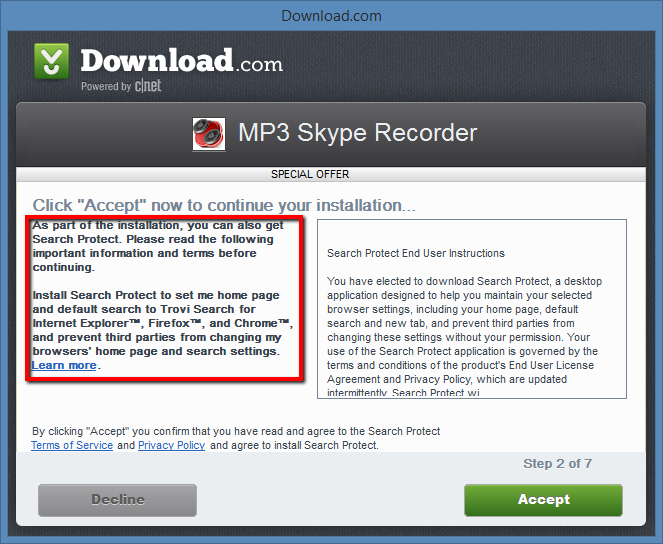 If I would have, I would have clearly seen here that “As part of the installation, you can also get Search Protect” (Trovi). Yippy Skippy! Its kinda like getting a tick when hiking through the wilderness. You get an extra little guy to hang out with you all the time! Another unwanted offer! I kept accepting (again not reading anything), and finally got to download my wanted program; right along with the unwanted ones. 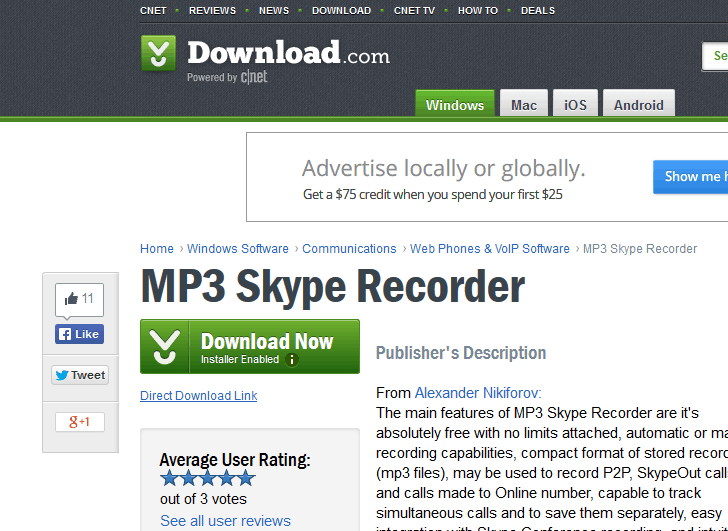 After installing it, I immediately got onto my podcast interview; and luckily the software program I did want (the MP3 Skype Recorder) did work. However, I still had no idea for a couple of hours that I had a tick Trovi as well. 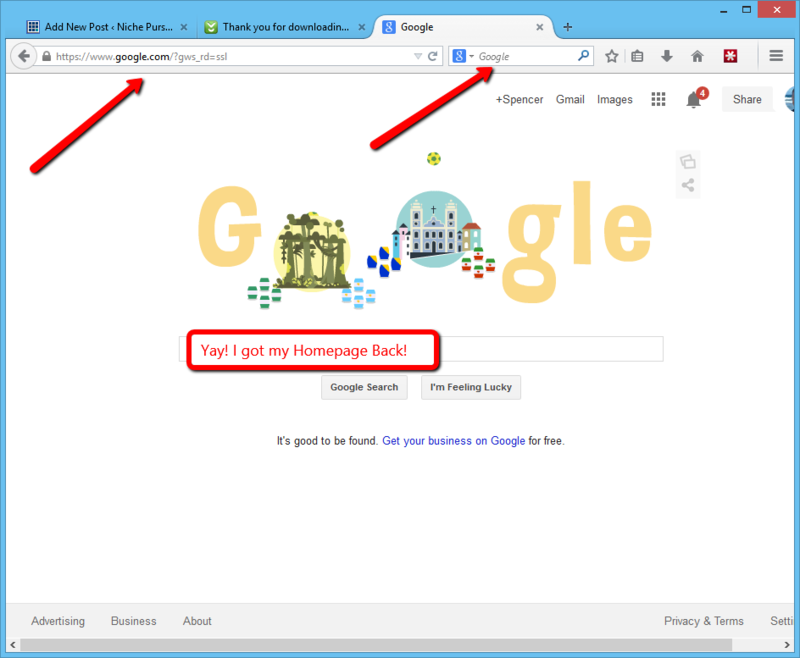 Suddenly after my podcast recording, I noticed that my homepage had changed from Google.com to Trovi.com. What the heck?!? In addition, every time I created a new tab in Mozilla Firefox, it went to Trovi.com as well. At first I had no idea what was going on, and was too busy to look into it. However, eventually I was able to retrace my steps and realize how Trovi had gotten onto my computer. Obviously Trovi is just trying to make some money off advertisements, but the real nuisance is trying to get the program off your computer! Even when I dragged a new homepage to the Mozilla homepage icon, Trovi was still my homepage. Even when I changed the homepage in the Mozilla settings; my new tabs still went to Trovi (even though the official homepage had been changed). My default search bar in Mozilla was also set to Trovi as well. Just a major pain. So, I did what any lazy intelligent person does when they have a problem, I consulted Google. How do I remove Trovi from my computer? 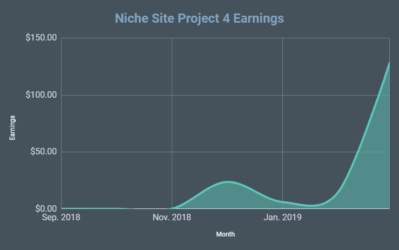 What I discovered was less than stellar advice, and made me decide to write this blog post about potentially unscrupulous affiliates. Clearly Trovi is a shady affiliate trying to make money on advertisements; but I also discovered some other shady affiliates in the process of trying to remove it. 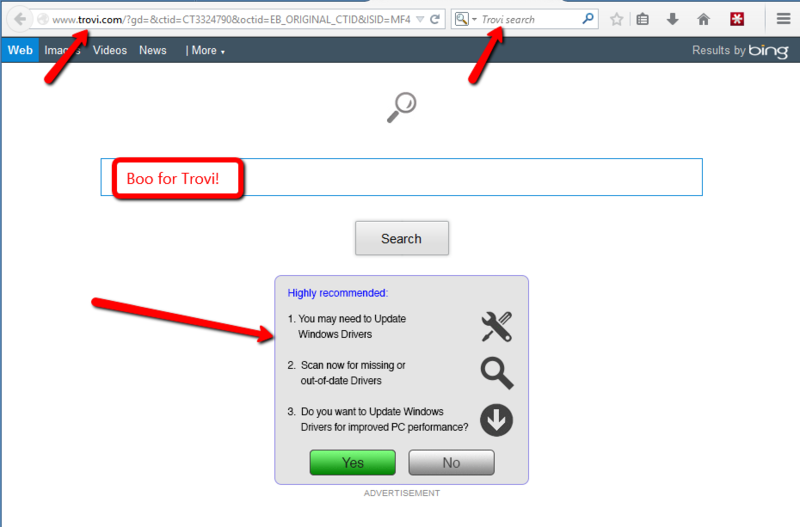 After doing a quick search on Google on how to get rid of Trovi, the first 2 websites I went to mentioned that Trovi was extremely difficult to uninstall. In addition, they mentioned that the way you had to get rid of it was to simply install an Ad cleaner program on your computer! The red flags immediately went up for me. I could tell that at least these 2 websites were affiliates for the Ad cleaner they were recommending; but they didn't stop there! Are you kidding me??! These affiliates wanted me to install 4 programs to try and remove Trovi! Recommending unnecessary products is not only shady, it also would probably create more problems than Trovi would. I will say that several of the results on Google, did provide clear instructions how to easily remove Trovi; but at least one result only recommended the products I mentioned, and never shared the simple do it yourself method (which takes about 30 seconds). So, I finally decided to just go to my control panel, and uninstall any programs I didn't recognize from that day. Luckily I discovered Trovi on the same day I downloaded it, so I only had a few files from the date I knew the issue began. 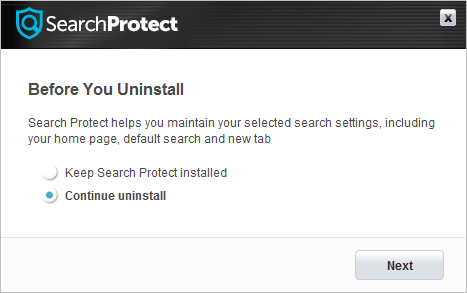 Look for the file called “Search Protect” and click Uninstall. (It may also be under a different name such as Trovi, Conduit, or something else as Trovi decides to change their name). That's it. Trovi is uninstalled. You will have your browser back to normal! Don't Be Like These Affiliates! Obviously Trovi implements shady practices. It hijacks your browser and forces you to use their service, and makes it difficult to find and uninstall. Unfortunately, these kinds of companies have been around as long as the internet has…and will continue to exist. They try to find a back door into your computer and make you an unwilling “customer”. You already know not to be like these guys, right? However, what is perhaps more disappointing are the affiliates that were recommending unnecessary products to people in need. I was able to figure out how to get rid of Trovi pretty quickly, but other people have likely had it installed for a really long time and have no clue how they got it. These victims are trying to figure out how to remove an unwanted program and need help. Instead of help, they are searching on Google and finding a few shady affiliates. These affiliate sites should simply be honest and tell people how to uninstall the software on their own. Instead they recommend up to 4 NEW programs to help remove 1. Its totally unnecessary, and is unethical…trying to take advantage of people in need. I have been creating affiliate sites for a long time. Most of my sites have been Google Adsense based sites, so I actually very rarely recommend anything…its mostly informational sites. 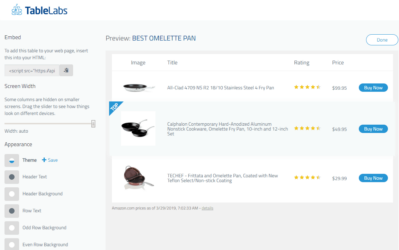 However, I have recently started creating more Amazon Associates based websites. As I do, I really have been trying to make good product recommendations. 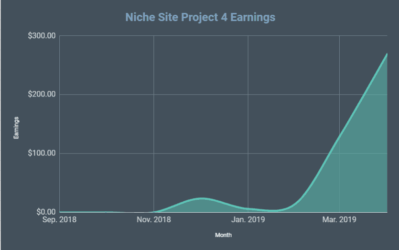 You can see the process that I used to find the best products in my first niche site project. You can also see the process the Perrin followed to make recommendations for his site in niche site project 2. In fact, this is a topic that Perrin and I continue to discuss as our business evolves. We are seeking to provide higher quality content, more in-depth articles, and of course that includes product recommendations that actually makes sense to the searcher. We feel like the best way to grow a business is to build it for long term success, rather than taking advantage of people or taking short cuts. It's not necessary to be shady to make money. If you provide great information, create or recommend products that truly resolve the query or issue that users are having, then the money will follow. I would love to hear your thoughts on the subject. Have you run across other shady affiliates? And how are you running your business differently? My little experience with Trovi was interesting. I'm glad that I got the issue resolved pretty quickly. And I'm also happy to say that I finally have my computer almost completely up and running the way I want it now! Overall, if these few words of advice can prevent anyone from trying to create an affiliate business based on shady tactics, then we will be moving in the right direction. not only trovi..lots of others do this and irritates users! nice post spencer !! 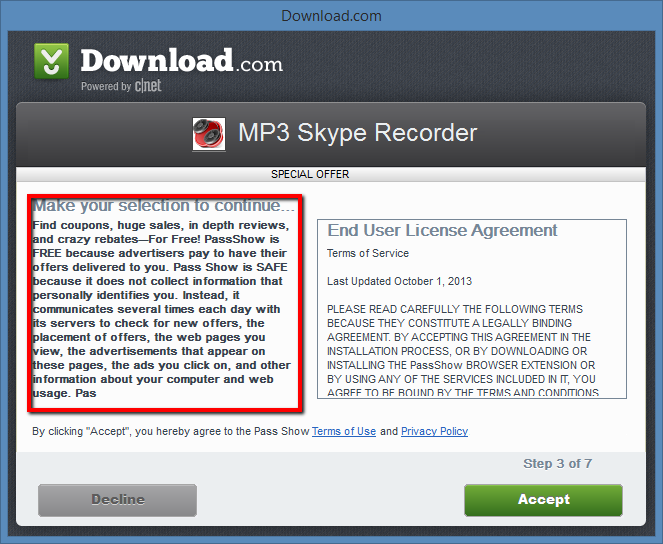 And that is why you should always at least skimp the fine print before clicking accept. In other words, it isn’t shady. It’s clearly written that it comes with this/that. If you want something cleaner, then opt for sites like sourceforge. Anything that comes from search engines are all the works done by affiliates. Basic knowledge. You missed the point. I was calling the affiliates recommending 4 adcleaners shady; not so much trovi. And the part of Trovi that is shady is not the download portion that you are referring to; its the fact that it hijacks your browser. I was going to mention those affiliates as well, but i decided not to because it’s under the same category of what you would call shady affiliates. The fact is, most programs install adware, and modify search browser’s behaviour. It’s so common that you didn’t have to pinpoint any particular program. I had a friend that likes to install chinese software to watch movies and it was a mess. But what do they (users) care? It’s free! Why then should affiliates care? It’s win-win. Back to the point on malware cleaners. So once in a while, my friend will complain and ask me for help to clean up stuffs. I googled it for them and tell them, here’s some links, do it yourself. They install and “clean” it, and they’re happy with the results too. I have had this exact same problem before when I am downloading various thing. I would suggest checking out CCleaner which will help you uninstall unwanted programs and also find unwanted programs. That is what I have used and it has worked great for me! I have been a programmer for over 45 years. I’ve seen a lot of this stuff. I am also an InstallShield expert. You may want to delete this, and feel free to do so, but it is possible to configure InstallShield (mabe others? ), NOT to show in the Uninstall a Program screen. This can really create havoc. So really, folks, really, read everything you ‘accept’. You bring up good points Spencer. Unfortunately, the adds-ons are a reality in so many cases, even if you install Java directly from Oracle, you might end up with the ask.com tool bar if you aren’t careful. What I don’t like is these sites that do prey on unsuspecting folks, rank above the legit sites that truly help folks out. Eventually, they may get hit with a penalty, but until then they will collect that cash and keep at it. I agree 100% with you Spencer. There are a lot of shady affiliate programs out there. You have to read the fine print before clicking the download button. Even Adobe does it with McAfee Anti Virus. Each time you download the Flash Update you have to make sure you uncheck the install McAfee option . Yikes! Who never installed those malware! In that case, it needs you very very carefull when it comes to installing free software. As long as the addon version is available, it’s better to go the later. Just my opinion. Happend to me this week 2 times with another software! Sometimes also if I decline, addons will be installed. very good programs and they are free too. I believe they have both free and premium versions. Malware Bytes is free for on-demand scans but is paid for real-time protection which is what prevents catching malware in first place. I hate the ones that look like warnings or tell you that you need to update your video software or something else in order to play a video. It’s a sneaky way to earn an affiliate income. My dad didn’t know any better and got sacked into a lot of these things because he thought they were real warnings. I had the EXACT same thing happen to me. For me, the malware was even worse, though. It propagated through my home network and infected other PC’s, a laptop, AND EVEN MY IPHONE. Everything on my home network was affected. It took me weeks to get rid of it (I was unable to simply uninstall it from Control Panel). I ultimately had to create a new home network (name). Huge PITA. On your iPhone? But it’s iOS, not Windows. If you open a folder and type%appdata% into the browser and go into the roaming and local folders you will find hidden folders for the software you just deleted. I am definitely going to be putting this exercise to regular use from now on. Thanks Cedrick for the advice. I wish you sent this out Sunday night. I’m on a Mac and use Windows via Parallels. I’ve been very careful to select Custom when installing these free programs so I can deselect the additional installs. However, I too found the Trovi treatment Monday morning. And like you, I read through a number of procedures for removing it that each required one to four installations of removal apps. I finally found a YouTube video showing how to uninstall. However, that method missed that Search Protect file. The method worked for Firefox and Chrome but not IE. I never use IE so I wrote it off. 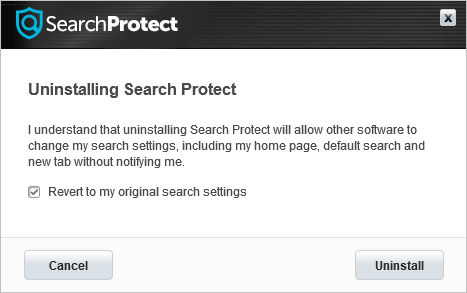 I just uninstalled Search Protect. Now IE is ok. I think of the internet as Carnival. Some truly amazing, wonderful things. And so many sleazy, scamming, thieves and robbers. I like this post Spencer. I like the pictures that you supply with your tutorial. I think this post will help many people. I know how to uninstall programs, but my mom sure doesn’t, nor do many other people in this world. I keep getting a couple of different search pages that open along with Chrome. I uninstall them and some how I must do something or download something where they are back again a few weeks later. I am pleased to have this opportunity to join here. What kind of computer did you buy? The hard drive on my laptop went out last week and has me thinking of upgrading. Hey Spencer. Yeah, you gotta be extra cautious when downloading programs like that. It seems, that has become one of the main marketing scheme of softwares. You learn from experience and I’m glad you were able to remove those two darn softwares. Your cleanup is not quite finished until you scan for other pups and keys. operations such as this; Malwarebytes and Spybot search and destroy. A third program Spyware Blaster will help prevent some of it. I did do some extra cleanup; looking for additional programs etc. But its probably not a bad idea to have an additional cleaner/scanner to use on a regular basis. in a fake green “Download Now” button. I’ve been burned by that more than once. into the Terms of Service agreement! Another option is to use System Restore to before the junk was installed. If possible that is usually cleaner. I’ve been victimized many times too. “Restore” program … just restore to an earlier date (“restore point” … the system will go back to that date’s state … you can now re-do what you wanted to download sans the pesky add-ons. This sort of sleazy underhand policy is the main reason I now try to stay clear of Cnet nowadays. Not sure why they went this route? Maybe to earn a few extra dollars but it really back fired as their reputation has gone down hill big time. If Cnet can’t be avoided I now ignore the download now button, scroll down to the end of the quick steps section on the left and click on See full specifications link. The specifications page will load and under General click on the Publisher web site link and download directly from the publisher site. I also use the wonderful Malwarebytes Anti-Malware premium and every so often scan my system with AdwCleaner (very scary the first time I ran it as it found lots of suspect files). Recently I have also added Emsisoft Anti-Malware to my arsenal as this targets PUPs as well as Malware. I run it on on paranoid mode and so far its blocked and quarantined everything I’ve thrown at it! I…well…use Linux and have not had any need to boot up to Windows in who knows how long. I can’t even remember the last time I booted into Windows. Under Linux these types of programs would have a hard time doing much of anything that I don’t want done on my system not to mention that most such programs are created to run on Microsoft Windows. I’ve never had a virus or other program do anything weird under my Linux system. Never! If anyone is inclined to do so…try Linux. I’ve never looked back since switching to it. Great point…I’m tempted to try linux…just hard to get off the windows train. Yes, I have had this happen too! very shady! I hate when you think your downloading some software you think is legit and then they prompt you to down other software that you think goes along with the software your originally trying to download.. Then you do it only to find out it doesn’t relate and then you have to spend time removing it. The only problem was, I was still a XP user and my computer was warning me luckily of a up coming crash. Was not real happy about using 8.1 but you can not stop change. Started the process of adding my software. when I would change my Home page it would work fine until I would totally power off and the next time my home page would be Trovi. After several attempts and checking my programs, I didn’t catch the (Search Protect) I thought it was just one more thing I didn’t like. Everything working great now. I’m sure you just helped a lot of people with this problem. Hi spencer, If possible you could install deep freeze or shadow defender. It will prevent unnecessary install to your computer. If there’s something that you don’t want in your install, just restart your computer. I’ve gotten burned by cnet many times in the past and refuse to download from their site if at all humanly possible. Yep, I may do the same now…or at least I’ll be extremely careful. CNet is a crazy shady. i can sniff out the spam/scam within .001 seconds, and man, CNet got me a few months ago when I was helping upgrade a few things on my moms computer. 4 hours later, I finished removing all of the junk that CNet installed on her computer. I know that Malwarebytes Anti-Malware has been a good program for catching adware for many years. That would be the program that I would use to check if you have any spyware / adware / tracking cookies on your computer. Also something to note is that you may want to try a Linux installation like Ubuntu and see if you can run your computing needs through there. This would offer better security, less chance of spyware/adware oh and it doesn’t have a window’s registry file that over time slows your computer to a snail’s pace. 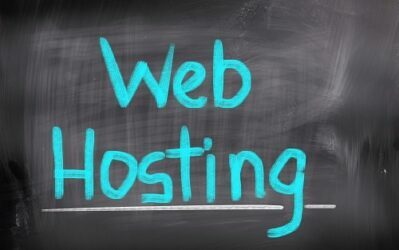 Keep up the amazing posts, been following you for years, always sharing your website with people that are curious about starting a niche site. I hate spammy content like that. Why would you create a problem for me just so you could fix it? So stupid, and very bad business. Seems to be common practice these days to just go ahead and install all these additional programs. Having to carefully read through the entire install process just to uncover the options to untick is borderline spamming. It should always be our choice if we want to try out something not just assume we will know how to get rid of it after the fact. Interesting case study. Got my whole website hacked few days ago, some shady affiliate who eventually managed to redirect some of the sales i generated to his own account. Still working on it to get rid of it… Good lesson to teach me how to protect my websites bit better! I did something similar to this when trying to download Google Chrome to my new computer. I ended up with some shady ad thing popping up like crazy. I had to restore my computer to get it back to normal. Now I pay extra attention every time I download a program and I try to go directly to the source. It’s definitely a shady practice although I’m sure Trovi is making a fortune!! I am glad I chose to read your post as I can easily relate. My virus program keeps asking me to quarantine “Conduit” this and that. Thanks to your article, I know know what to do with it as I didn’t know whether I should be deleting it or not. Another thing to watch for is added Anti-virus programs which are added automatically unless you uncheck it! Thanks for exposing them. It seems that my website keeps getting some traffic via Trovi lately, which made me wonder what on earth that is and why do these people use it as a search engine. Now I understand that they are forced by this application and they don’t know how to get rid of it. Thank God I did not install it. Cnet has gone from giving you one or two offers that are easy to recognize and to decline to allowing sleazy tactics like boxes which look like you’re accepting the thing you’re after but are the adware/malware. Google needs to start de-indexing a few of these egregious Cnet download pages and see if that doesn’t do the trick. That would also knock the downstream spammy affiliates who try to get you to put all the software on that you don’t need telling you it’s part of the process to get rid of the initial software. Google frequently acts as a “policeman”, sometimes more than is good (like killing adsense accounts apparently at random! ); here is a case where Google is in the best position to clean up some trash. I have not trusted CNET / Download.com for ages now. Too many stories like this. Hi, work you call this shady … what exactly is this, how does in fit in with niche site building? Yes, it has signs of shadiness. I didn’t look into it much so can’t say forsure. But a $5 website is not going to be awesome. Hi Spencer I want so very much to make some passive income and I came across your site and it seems that I could definitely do this. But I was just wondering is it still possible for me to make money doing this in 2014? I just need to make some extra income. Thank you so very much. Thats funny I must have found the same site as you for the “recommended” way to remove malware because I have AdwCleaner, Junk Ware Removal Tool, Malwarebytes, and HitManPro all installed on my computer. I had acquired an unwanted toolbar and was googling a way to remove it. Having said that, malwarebytes and hitmanPro are actually good programs for detecting and removing malware. These things take over your browser and sometimes inject malware when you log into your sites. I read some affiliates say they are making good money and that people should read the T/A before moving forward but they are actually doing more harm than good. Your methods do not work for me. I’ve done all you suggest, run Anti-Malware and ADWCleaner. Still have it making Chrome and Firefox of marginal value. Life happens. Ugh! I had the outfox tv homepage malware earlier this year. I went to google to find out how to remove it and like you the first page on the search result recommended I download some program to remove it. Only thing that did was install more malware. I finally got someone else to remove it. well this is a fine post the only thing is i have been through this before…i ended up doing a full system restore to get the bugger off my pc (trovi) but i did it again downloading an update for mozilla not paying closer attention i got thought i was downloading it from their site…but i guess i was wrong because i got it again…it is on my pop up page and nowhere else…all these products out there say trial yeah right they want your money and then some. i don’t want to have to do another recovery but i want trovi.com off my pop up page…got any answers for that? ?